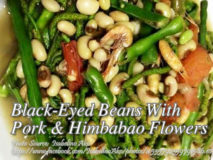 I think this is one of the most budget friendly vegetable Filipino dish because munggo or mung beans are cheap and when cooked, it expands,..
One of the most popular Ilokano vegetable dish is “pinakbet”. 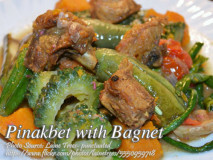 It consists of eggplants, okra, squash, stingbeans, bagoong alamang or shrimp paste and spices. But.. 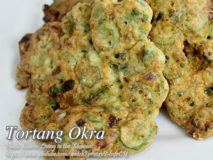 This is a simple vegetable omelet dish made from okra, eggs, rice flour and spices. 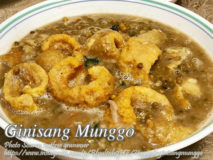 Actually the rice flour included in the ingredients can be.. 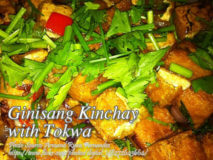 If you are looking for a simple vegetable recipe containing tokwa or tofu, then I think this sauteed kinchay with tokwa dish is a good..